Legendary commentator Barry Davies is making a one-off return to the BBC's Match of the Day. 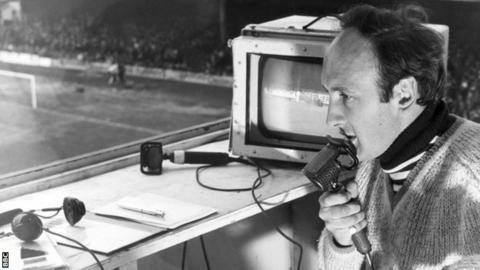 Davies will commentate on Crystal Palace v West Ham on Saturday as the programme marks its half-century on screen. He began working in television for ITV before the 1966 World Cup and joined the BBC three years later. Although best known for his football commentary, Davies has covered a wide range of sports and is familiar for his work at the Olympics and as the voice of the Boat Race. He last worked on Match of the Day almost 10 years ago. Match of the Day first broadcast on Saturday 22 August 1964, with highlights of Liverpool v Arsenal from Anfield. A special documentary, Match of the Day at 50, is on BBC One on Friday 22 August, 22.35 BST (22:50 in Northern Ireland).